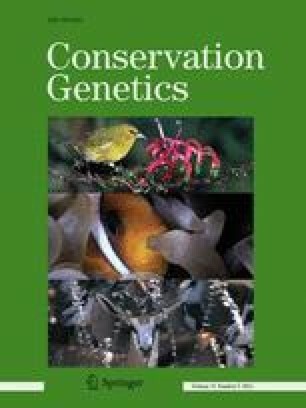 Conservation of species threatened by habitat fragmentation is a major global challenge, and determining the genetic and demographic processes associated with isolation and reductions in population size will be critical for an increasing number of species. We conducted controlled crosses and field germination experiments to quantify the effects of inbreeding and outbreeding in the declining orchid Gymnadenia conopsea in two Norwegian populations that differ in size. We further compared our results with published estimates of inbreeding depression in orchids. There was severe inbreeding depression for seed production (δ = 0.41–0.67) and germination (δ = 0.46–0.66) in both populations, with stronger inbreeding depression in the large population. Compared to outcrossing, selfing reduced female fitness (number of seeds per fruit × proportion of seeds germinating) by 76 and 54 % in the large and small population, respectively. The magnitude of inbreeding depression for seed production was higher than the average reported for orchids, while for germination it was similar to earlier estimates. The large population also experienced considerable outbreeding depression for seed production (δ = 0.23–0.27), germination (δ = 0.33) and female fitness (δ = 0.47) following crosses with a population 1.6 km away. The strong inbreeding depression indicates that both populations harbour a substantial genetic load, and suggests that fragmentation may reinforce population decline in G. conopsea via increased inbreeding. Moreover, the local outbreeding depression indicates substantial genetic differentiation at a moderate spatial scale. This has important implications for the use of crosses between populations or plant translocations as conservation approaches. The online version of this article (doi: 10.1007/s10592-012-0373-7) contains supplementary material, which is available to authorized users. We thank A. Moen, D.-I. Øien and A. Lyngstad for advice and support during fieldwork. Funding from the Norwegian Research Council (NS) and from the Swedish Research Council (JÅ) is acknowledged.